Whether it’s from a flash flood or a broken pipe, water damage can be one of the most devastating home disasters for a homeowner. Water-damaged possessions are often unsalvageable, cleaning up the mess can be long process, and the threat of mold development can linger for weeks. 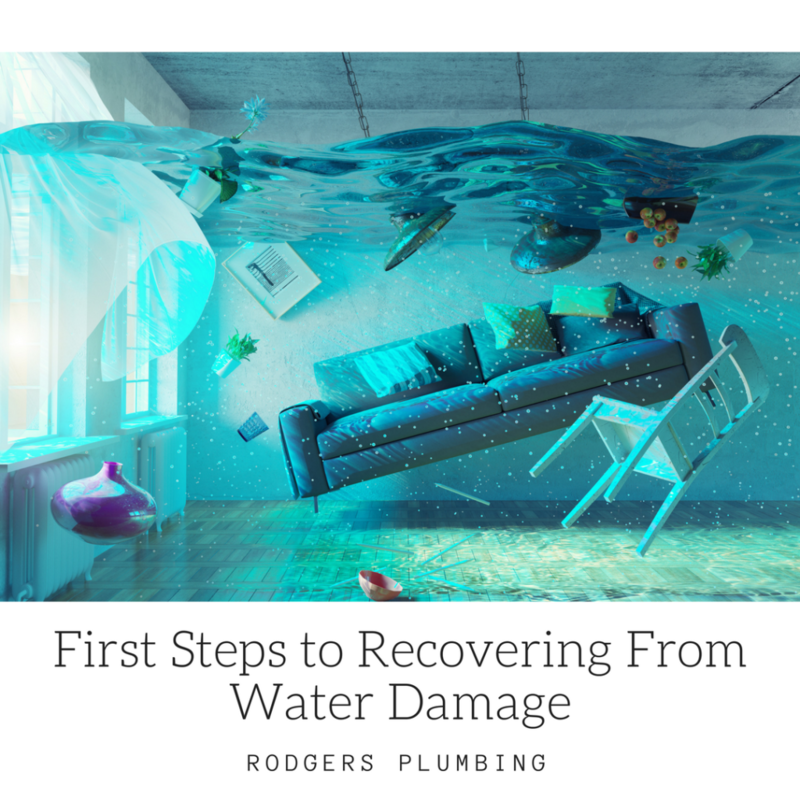 But with a smart plan, you can make your water damage recovery as painless as possible by following these steps; Put electrical safety first, stop the flow, cover your assets, call help and dry out. If a flood occurs in your home near any outlets or wiring you should be concerned about electrical safety. If you have a minor leak affecting a small area, you should shut off the circuit breakers that power all wiring and outlets near the leak. Multi-room damage from a major pipe break will necessitate shutting down the entire circuit panel. If you are unsure of how to shut down your breakers you should contact an electrician or your utility server. If water is coming from household plumbing, then damages can be getting worse by the second. Make sure that you know where your main water valve is at so that you can turn it off immediately to minimize water damages. Once you have eliminated the risk of electrical shock and the flow of water, you should call your homeowners insurance to protect your assets. You should also plan to take photos of all the water damage in your home before beginning cleanup. Failure to do so could result in contested claims that may cost you hundreds or thousands of dollars. If you are willing to put in the work and long hours you can clean up the flood yourself, but it can be a very difficult task. Your best bet would be to hire a water damage remediation company to assist. Remove any standing water with an electric pump and/or a wet/dry shop vac. Take all water damaged items out of the home and sort them into salvageable and unsalvageable piles. Carpeting, carpet padding, paper products, food products and many electronics will be a total loss. Open all windows in damaged areas and use a fan to blow on other areas.